I am very pleased to announce that House Bill 3375, the “OADC Bill”, has been signed into law by Governor Fallin! This is an amendment to 12 O.S. 3226 and will become effective on November 1, 2014. You can find the bill under the members tab - members only content. Many thanks to our lobbyists, Brett Robinson and Dennis Adkins, and to the OADC Legislative Committee for all of their hard work on this. We will continue to monitor several other pieces of legislation and will update you all on significant developments. OADC started 2014 with the winter meeting on January 24th at the historic Mayo Hotel in Tulsa. Turn out was excellent with 94 in attendance. Angela Ailles-Bahm and Carrie Palmer were both awarded the Distinguished Service Award. A special thanks goes to Jeromy Brown, our DRI Representative, who made a video presentation on the importance of keeping our courts fair and free in the face of legislative attempts to politicize the judiciary across the country. Oklahoma has not been immune to this so-called judicial reform. One benefit of OADC membership is the fruit of the efforts of our Legislative Committee, chaired by Mike Carter, and our lobbyists, Brett Robinson and Dennis Adkins of Capital City Associates. They have been very busy the first quarter of 2014 drafting, monitoring, and communicating with legislators about several pieces of proposed legislation. Their focus has included judicial reform, the offer to confess statutes, and the "OADC Bill", which was drafted by Angela Ailles-Bahm. The "OADC Bill" amends 12 O.S. § 3226 by modifying general provisions governing discovery, relating specifically to initial disclosures and obtaining authorizations for release of records. It has passed both the Senate and House Judiciary Committees and is up for vote on the Senate floor soon. The current version of the "OADC Bill" is posted on our website at www.oadc.org. Another benefit of OADC membership is the opportunity to attend the annual summer meeting. This year we will return to the Four Seasons Resort and Club in Las Colinas, Texas on June 19th and 20th. 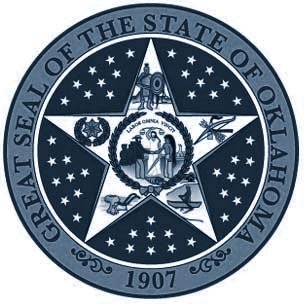 OADC was founded nearly fifty years ago in Oklahoma City by a small group of civil litigation defense lawyers who were interested in pioneering an organization dedicated to providing a platform for association and communication to exchange ideas, information and litigation techniques. Those core ideals remain in place today. Although the practice of law has changed dramatically since the early 1960’s, the need to collaborate with and to provide support to others in the defense bar remains the same. OADC leadership is very interested in hearing from the membership on ways that the organization can better serve and support your practice. Please contact any of the Board of Directors with suggestions or comments. You can find your board members listed on our newly designed website. I appreciate the opportunity to serve as your President and look forward to a great 2014.